1997-1999: In March 1999, a second guitarist, Chtulhu, join the band. Recording of a two-titles demo which would never be released. 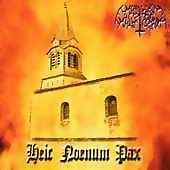 In July, Malleus Maleficarum self-release "Heic Noemun Pax", a 300-copies MCD. The band plays at this time a thrash-black old-school style. 2000: In March, Recording of the CDR-demo "Zarach'Baal'Tharagh" limited to 150 copies. The five tracks compose an hymn to extermination and show that Malleus Maleficarum is determined to perform a sincere and brutal black metal. 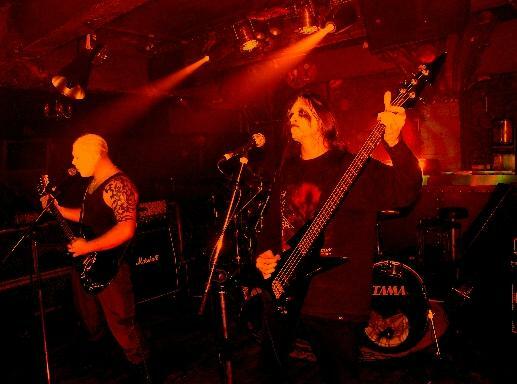 "Zarach'Baal'Tharagh" is recognised within the underground and the band gives few gigs in France. In July, Chtulhu leaves the band. The original line-up is then reconstituted. 2001-2002: Recording of Taedium Vitae in July 2001. This opus is the heritage of a violent black metal. 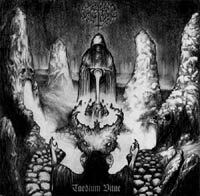 After having looked for a few labels, Taedium Vitae is out in April 2002 through the French label Oaken Shield. 2002-2003: Composition of the second album "des bibles, des hymnes, des icônes ..."
2003-2004 : In September 2003, Mastema leaves. Reluctant to be joined by someone who wouldnt have understood the spirit of Malleus Maleficarum, Tamas and Ahriman decide to assume the vocals. Two months later, the band moves to the "Neurasthenia Sound Studio" to record "des bibles, des hymnes, des icônes ...". The subsequent album is doom, brutal, and hateful, expressing a pure reluctance and nihilism toward any kind of religion, idolism, or nationalism. The album comes out in May 2004 through Oaken Shield in a classic package and in a digital release limited to 999 copies. It allows Malleus Maleficarum to do concerts in France and abroad. At the end of year 2004 starts the writing of new songs to prepare a future album. 2005-2006: Composition of "Nothing Left To Fight For" In December 2005, Malleus Maleficarum records its third album. This last is still leaking of nihilism while expressing a total refusing and a deep spleen. Compositions are graver, darker and more melancholic and these environments are reinforced by the introduction of electronic elements. After having received a few propositions and looked for labels, "Nothing Left To Fight For" is out at the end of September 2006 through the label "Aura Mystique".